When you need move the load on your crane into an adjoining bay or through an open door you can do so by utilizing a telescoping bridge. These telescoping bridge cranes are designed with a second bridge beam located directly beneath the main bridge beam. This secondary beam is equipped with a series of trolleys and kick-up devices that allow the under hung beam to telescope. This unique feature can solve many material handling challenges. Standard capacities range from 1 through 10 Ton. Larger capacities are available if an application requires it. Telescoping bridge cranes can be equipped with all the options of a standard overhead bridge crane including free traveling pendant stations, radio controls, 2 speed and variable controls and travel alarms and lights. Additionally zoning controls can be added to limit the travel of the bridge crane when the telescoping bridge is in the extended position. 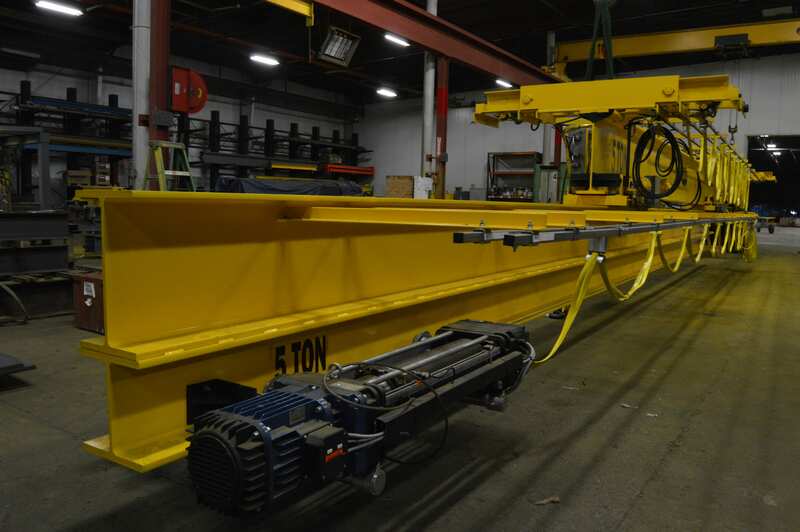 Runway beams and increased sizes of wheels and end trucks must be considered in Telescoping bridge crane designs due to the additional weight of the secondary beam and the cantilevered load that transfers most of the weight of the main girder to a single runway. 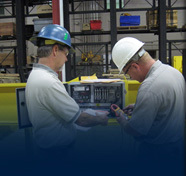 CraneWerks engineers are experienced in working with the design challenges of a Telescoping crane and can offer quick answers to your questions as they arise. 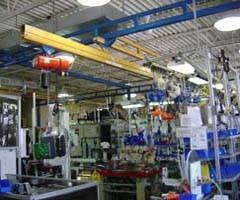 Feel free to push the help button provided to begin communications concerning your telescoping bridge crane needs. Call CraneWerks at 888-544-2121 or email sales@cranewerks.com and a sales engineer will respond right away to answer any questions that you may have.